If you’re looking for a new method, SpeedPro has the answer for you. 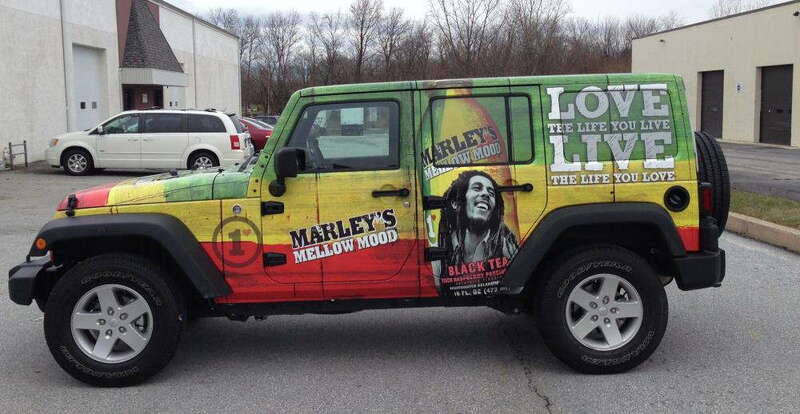 Vehicle advertising with auto vinyl graphics allows you to take your brand on the road with you, enabling you to be visible to a larger audience, at a faster rate, at all times of the day. 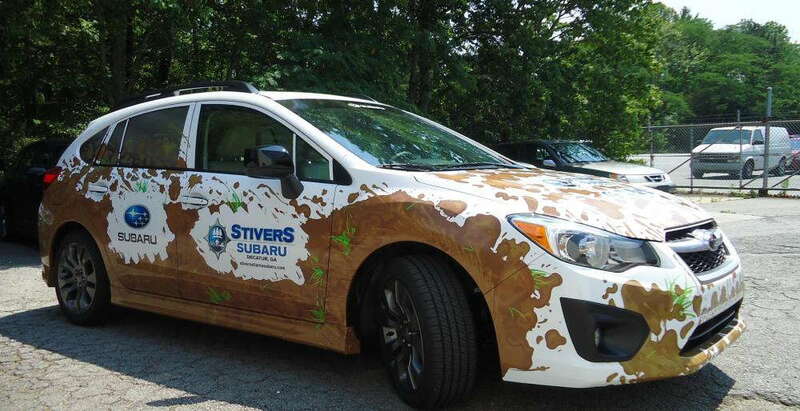 Our custom vehicle graphics range from the big and bold to the small and sleek. We offer long-term and short-term options that can be selected based on your branding needs. Thinking about rolling out of your office building with style? Get in contact with us in our Silver Spring location! We’d love to come up with creative new ways to build your business. Perforated film can go anywhere on your car, but its ideal look is on your vehicle windows. We recommend against placing the film over your front windshield, as it could seriously block your vision. However, the side rear windows offer the perfect placement. When someone driving by looks at your car, they’ll see a bold and vivid graphic illustrated over your windows. As the film blocks light from infiltrating, it also prevents the viewer from looking through the window to the interior of your car. Window clings are our best temporary option. They can be attached to all of your windows and easily removed as well. These clings can be cut small to fit in the corner of your window or large to span across your two side windows or even your rear window. Whether you’re displaying your brand name or a visual representation of your brand, the cling, printed on white or clear background, will make a statement and pop out from the plain window. 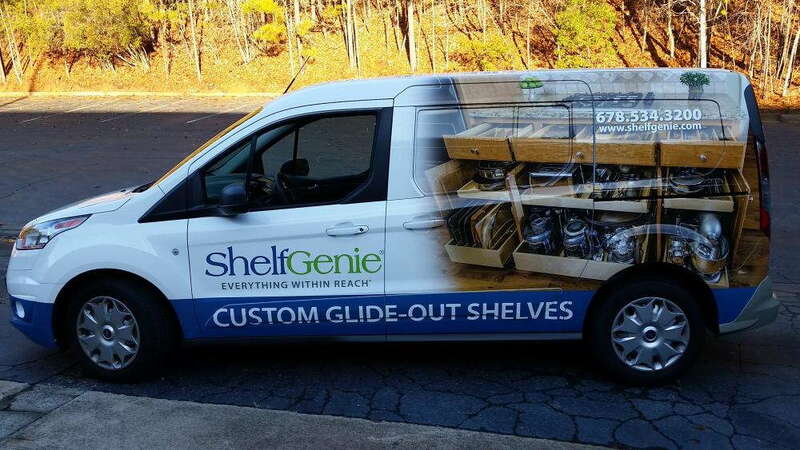 Vinyl decals and vinyl lettering are two long-lasting vehicle graphics, though this can be adjusted with the use of a lower-strength adhesive. Decals and lettering are placed on your windows and car panels, such as your doors, rear bumper or hood. Our ink will print smoothly on this vinyl, allowing your colors and image to stand out even while you’re driving by at full speed. If you’re tired of spending countless hours in your office brainstorming ways to expand your business, call us at SpeedPro Imaging Silver Spring today! We’ll consult with you to create the most efficient marketing deal we can and effectively represent your brand and business to anyone passing by. Let’s get started!